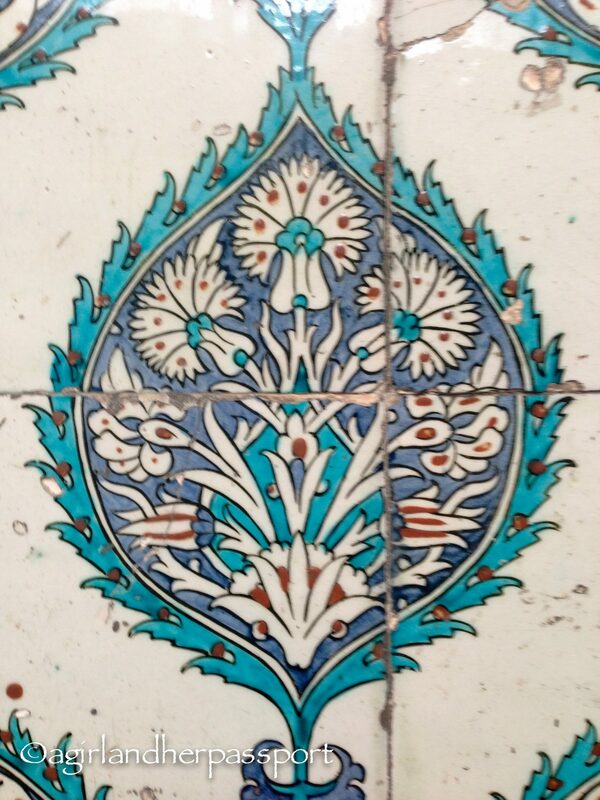 Everywhere you go in Istanbul, there is beautiful tile work. 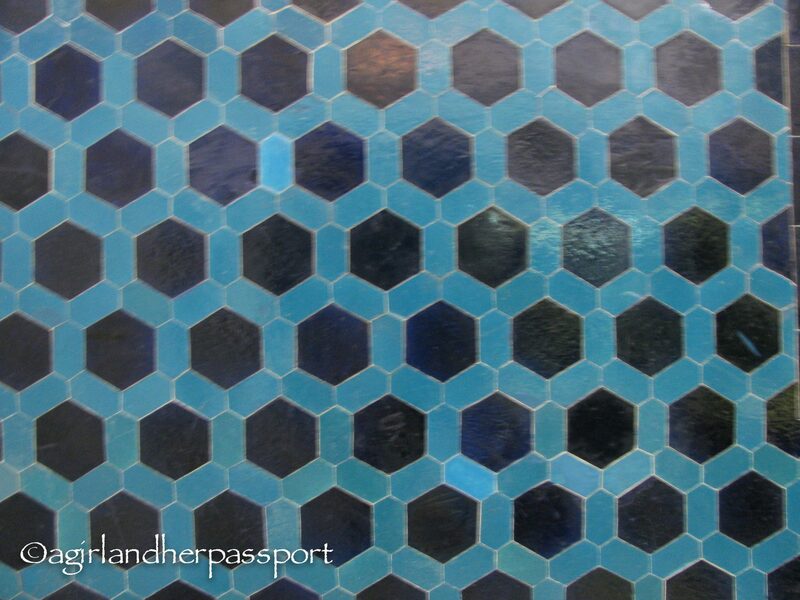 Most of the tile is blue and white or some variation. 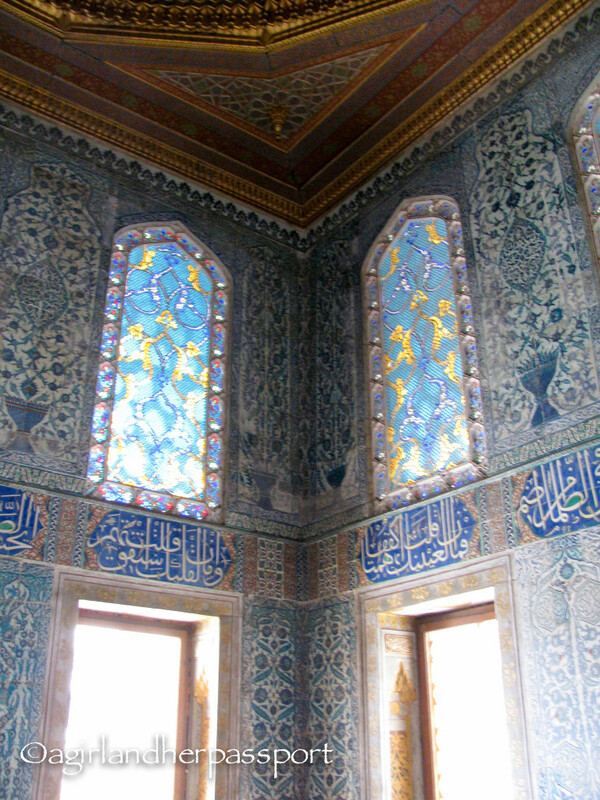 Lots of it is turquoise, which is one of my favorite colors. 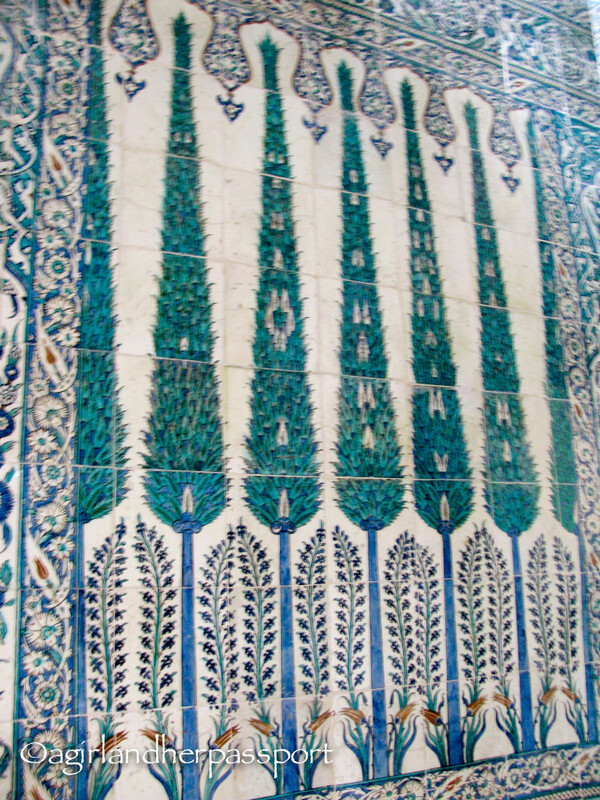 The tile isn’t just beautiful, it’s prolific! 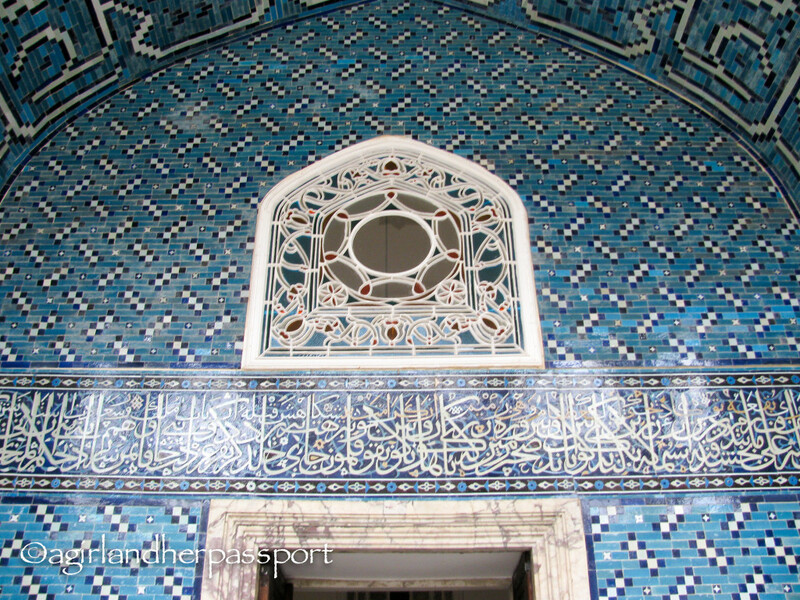 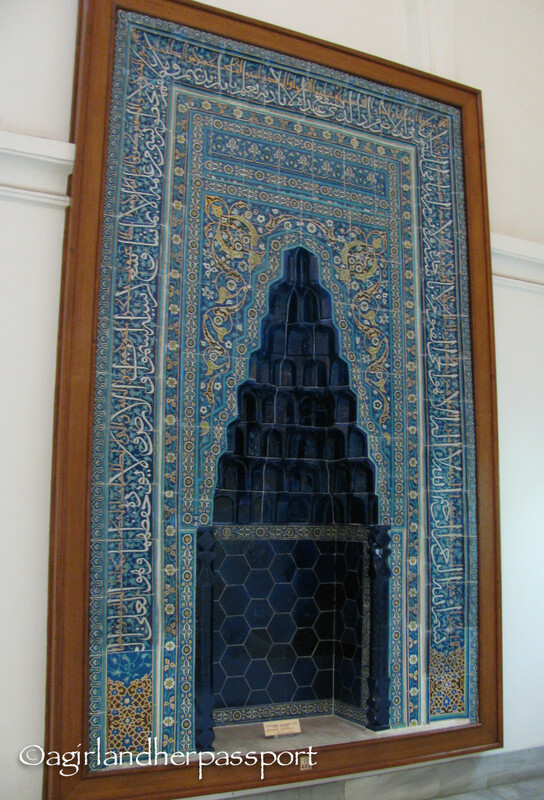 The Blue Mosque, which is not its official name, is called this because of sheer amount of blue tile covering the walls inside. 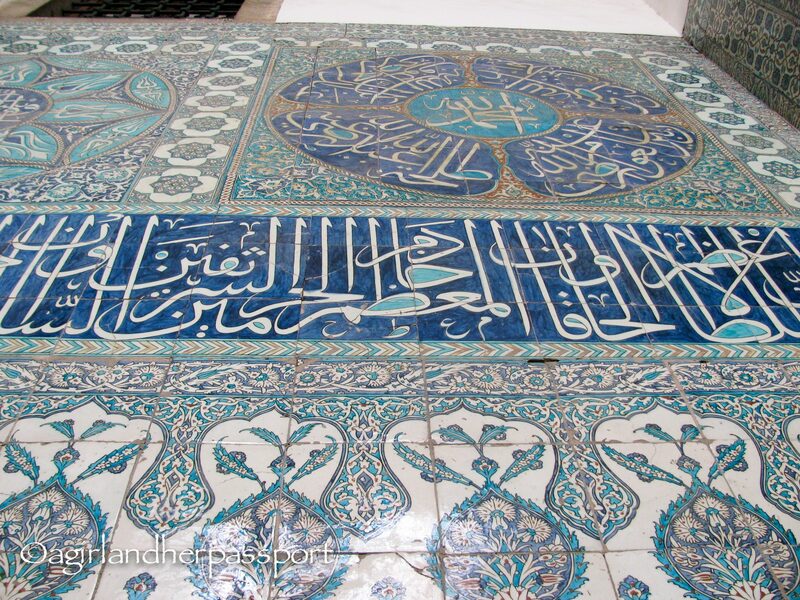 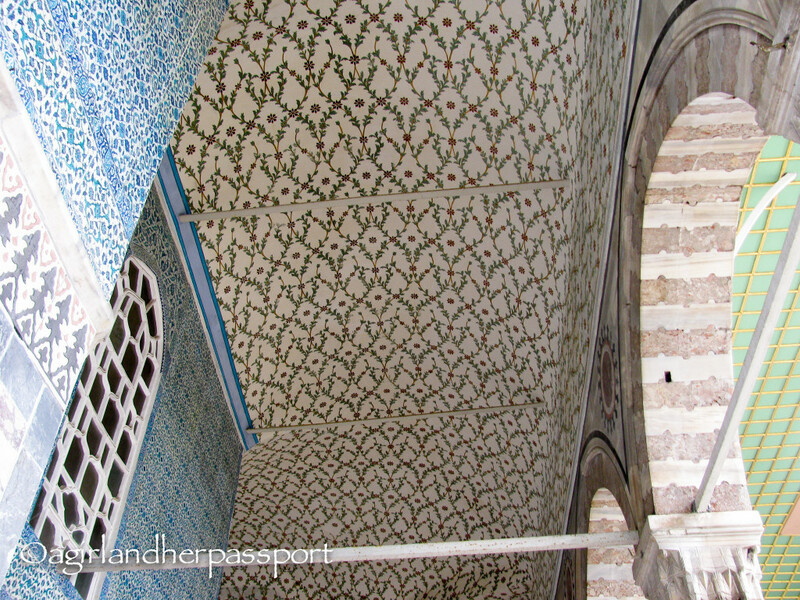 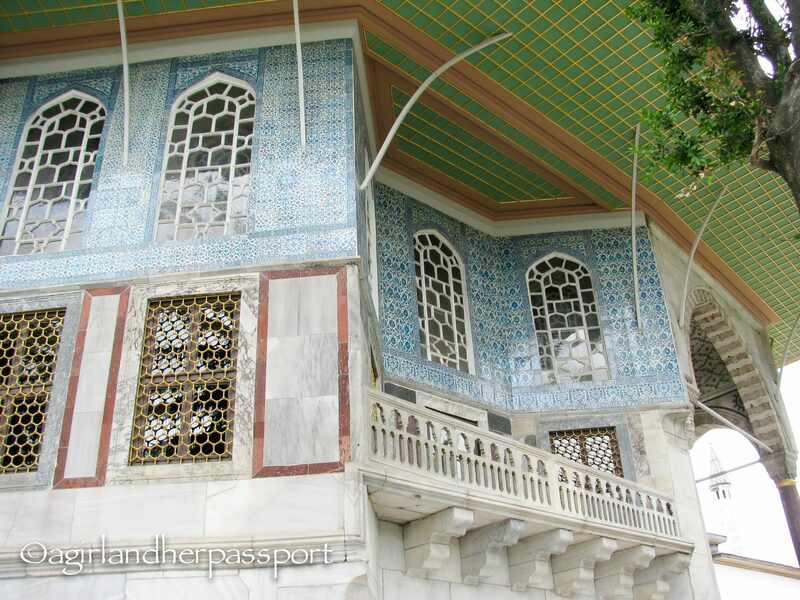 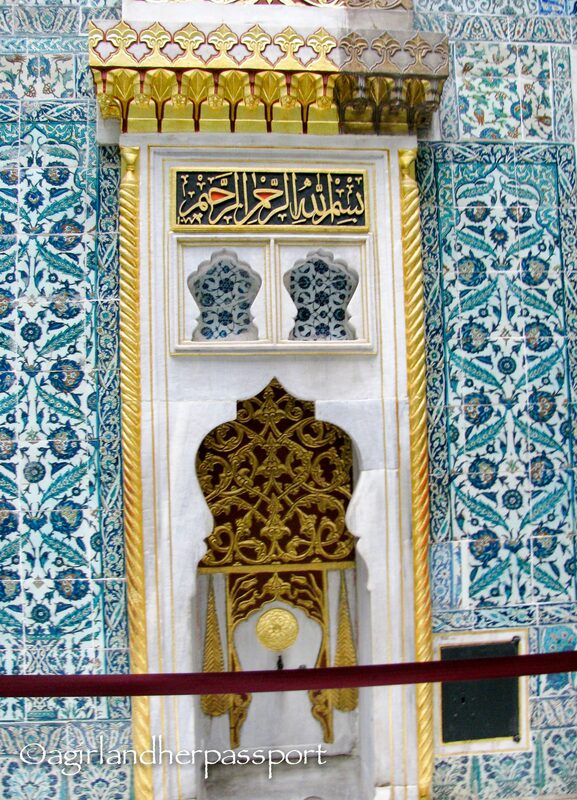 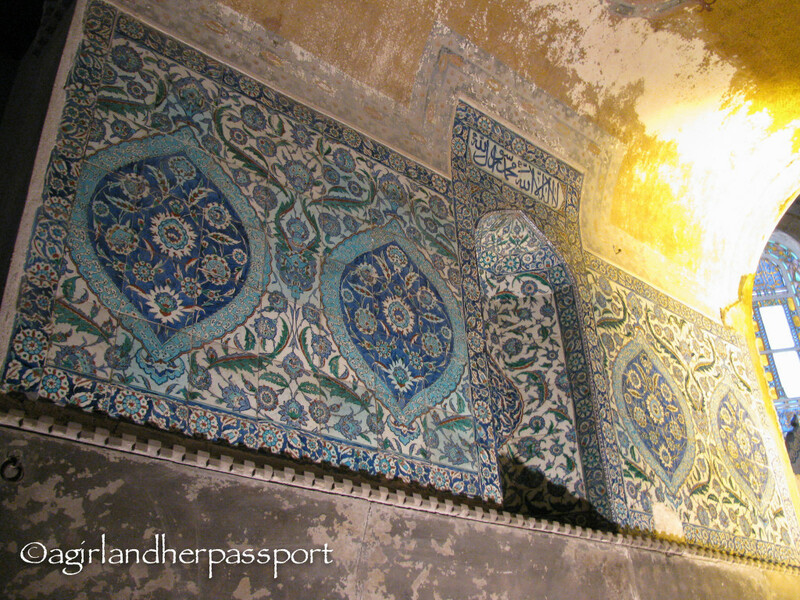 When I was walking through the Topkapi Palace I kept thinking about all the work and time that must have gone into the tile work. 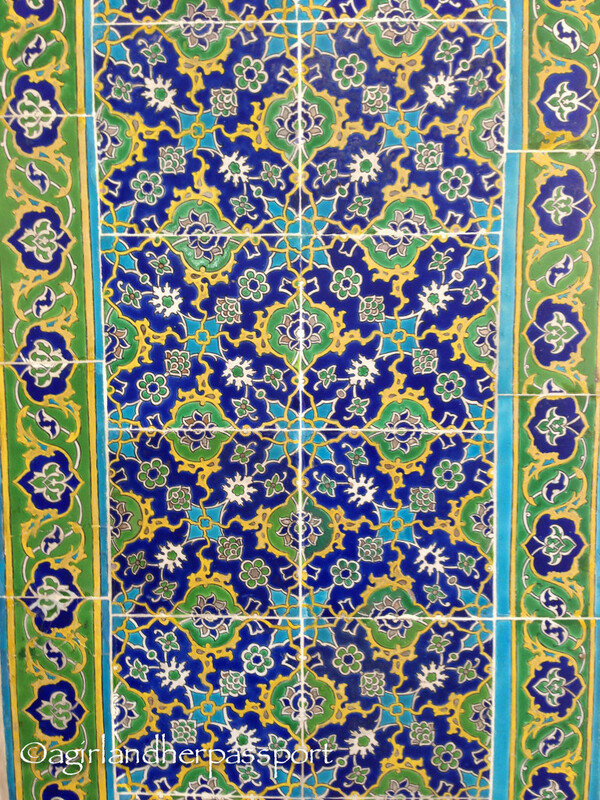 I took so many pictures of tile. I hope you enjoy the tiles as much as I did.